As junk removal pros, we’ve seen just about everything! If you can imagine it, we’ve probably removed it from someone’s home. One of the most difficult things to see is someone that’s been overcome by hoarding. By the time we’ve been called in things have gotten out of control and the damage has been done. The Boise area is no different from the rest of the country. There are people here in the valley struggling with this issue. If you need help, you can always call us for a free estimate. We’ll be happy to help and we’ll be discreet. 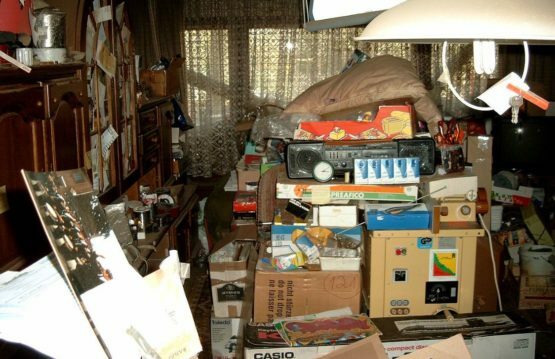 Here are a few signs to look for if you suspect your loved one may have a hoarding problem. Do They Exhibit Signs of Distress at the Thought of Letting Something Go? Your loved ones may have an irrational response when you try to remove some of these items. Are There Rooms in Their Homes That Cannot Be Used Because They’re Overrun with Stuff? To say that we’ve seen rooms that are overflowing with stuff would be an understatement. When you lose an entire bedroom, basement, or garage to a “collection”, it’s probably time to find a professional. According to Massachusetts General Hospital, “A person who engages in hoarding usually has at least one designated space, such as a room, house, or office filled with so much clutter that it is either no longer functional or uninhabitable.” Keep an eye on areas that are now off-limits to visitors. Have They Stopped Receiving Visitors? If you can no longer go to Grandma’s house for Sunday dinner because her home is too full of stuff, then chances are good that she may be on the verge of becoming a hoarder. Hoarders are also very sensitive about their stuff and they don’t want people touching their possessions. The Children of Hoarders website goes on to say, “clutter makes you feel embarrassed and ashamed. How many times have you turned people away or not invited people to your home because of the clutter?” It’s a significant issue in the lives of our loved ones that must be addressed. We can’t let them live with this kind of shame.